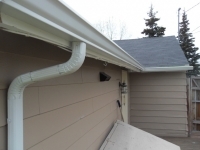 Alaska Premier Gutters provides a wide variety of gutter repair services and gutter installation, including every component of your system. 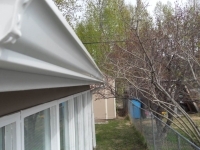 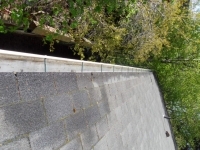 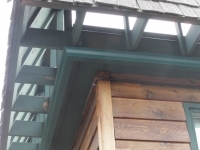 After reviewing your site we will come out and professionally install your gutters to your complete satisfaction. 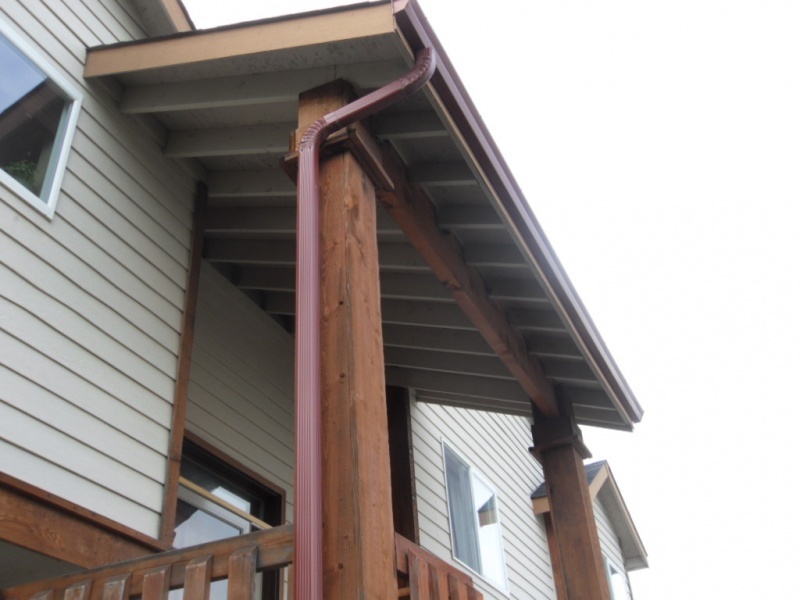 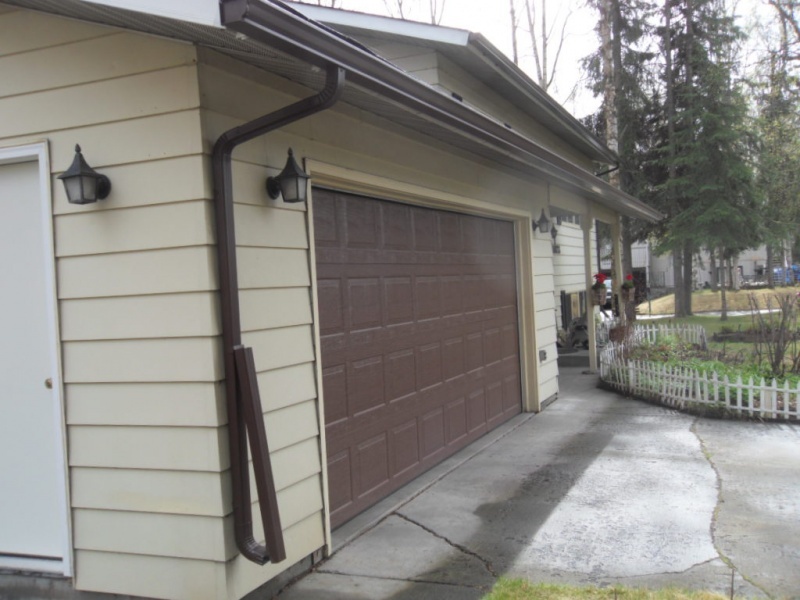 Alaska Premier Gutters will come out to your home on a one-time basis or, why not let us manage your gutter system? 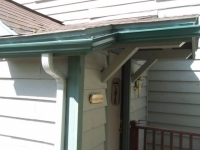 Do I Need Gutters on the Upper Story? 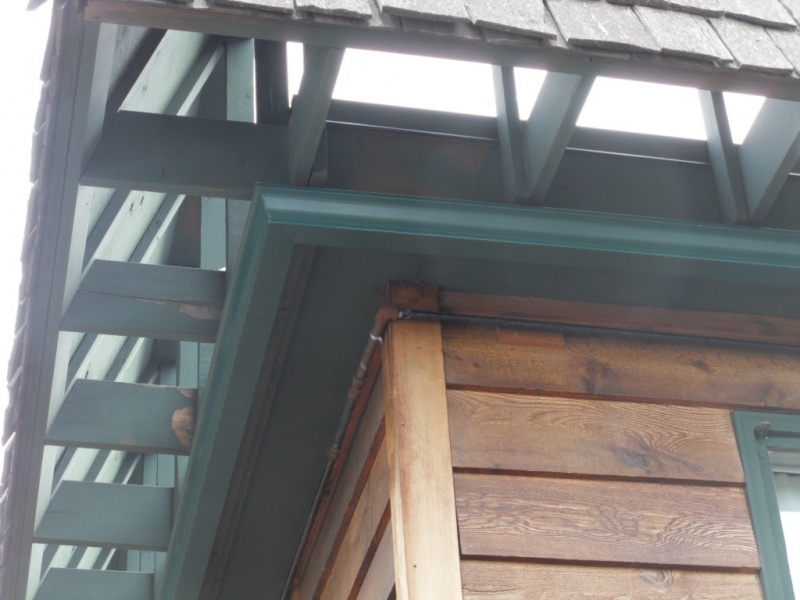 Although there is no patent answer, there are signs to look for that might suggest guttering your upper roof. 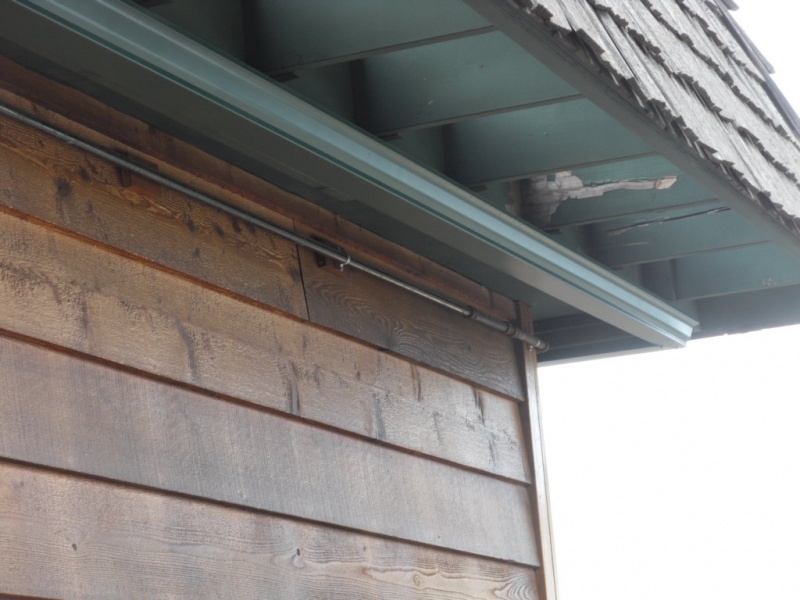 Is there splash-back on your siding? 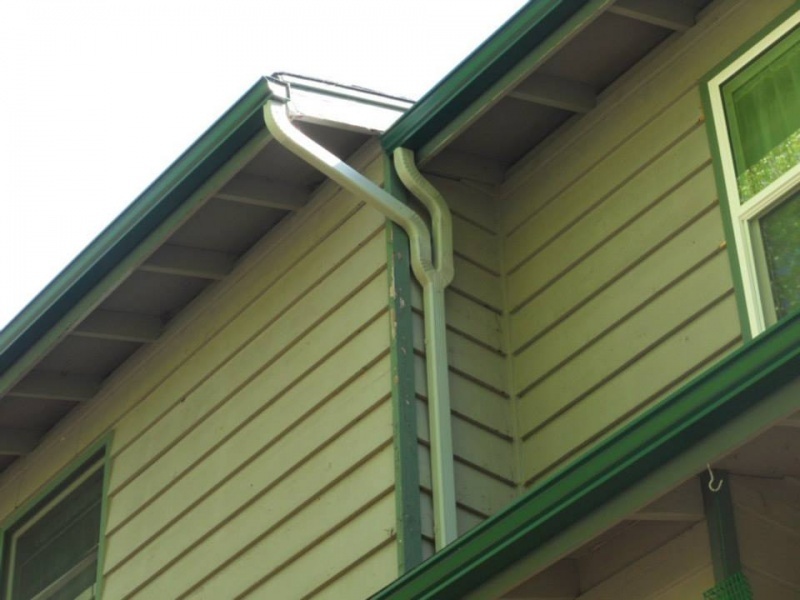 Splash-back happens when rain water draining off the upper roof hits the roof or ground below and water splashes back onto your house. The immediate effect is that you will get dirt stains on your siding from the ground or the roof below. 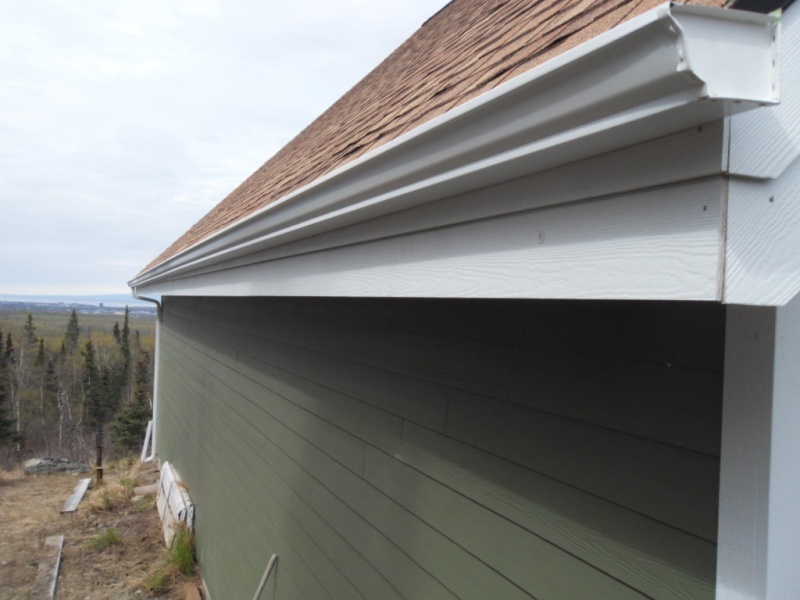 The long-term effect is that your paint will start to deteriorate in these areas and then your siding will start to deteriorate. 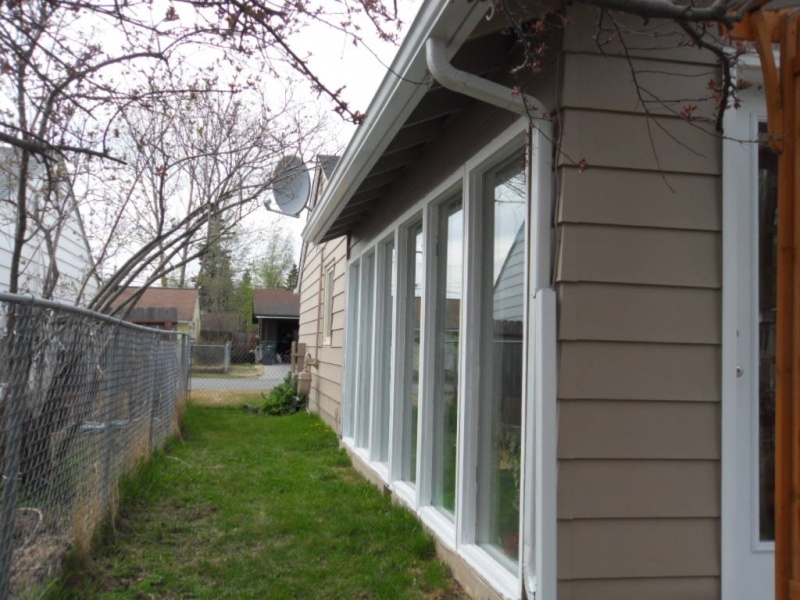 Many times upper story windows will be near the lower roof and they will get hit with the splash back. 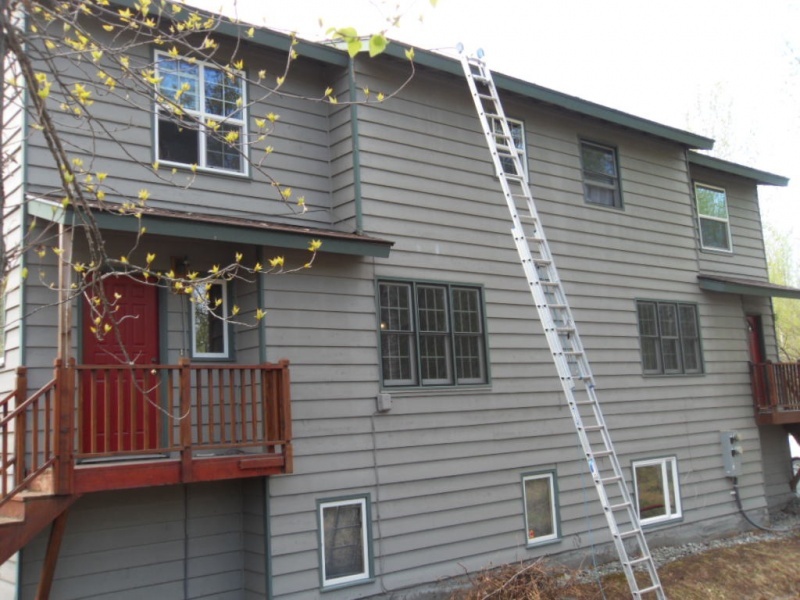 These windows will definitely get dirty (and they aren’t usually easy to get to and clean). 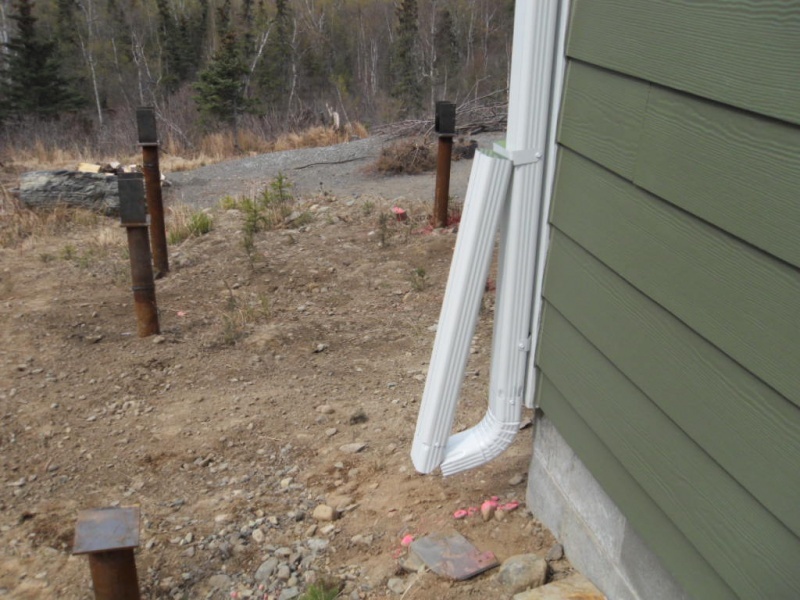 Also, more importantly, if you have older wood-framed windows the water can and will ruin your window frame. 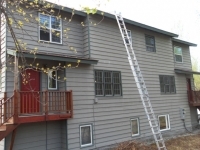 This is a very expensive problem as you are usually looking at replacing some siding as well as the window. 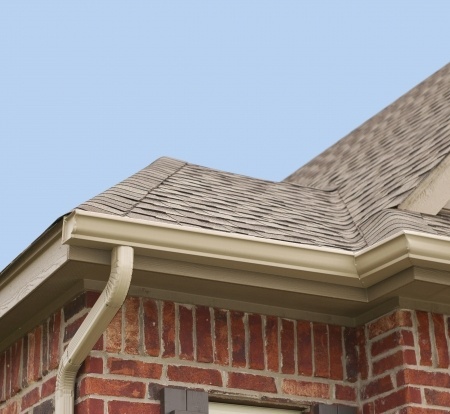 Roofs with steeper slopes tend to get less splash-back than lower sloped roofs. 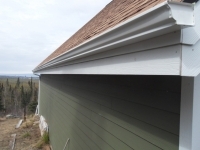 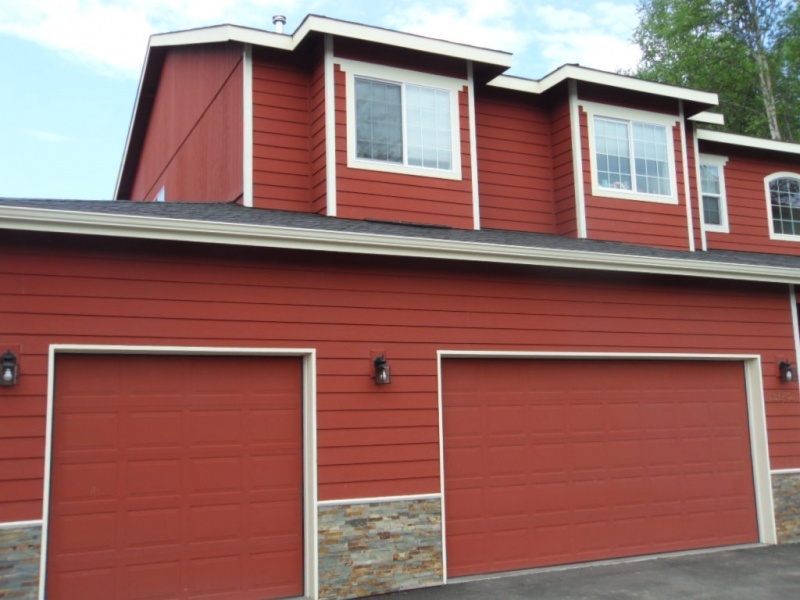 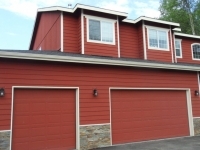 So, if you do not see dirt stains on the bottom of your siding and the bottom of your siding is not wet after a rain, then you can wait and see. 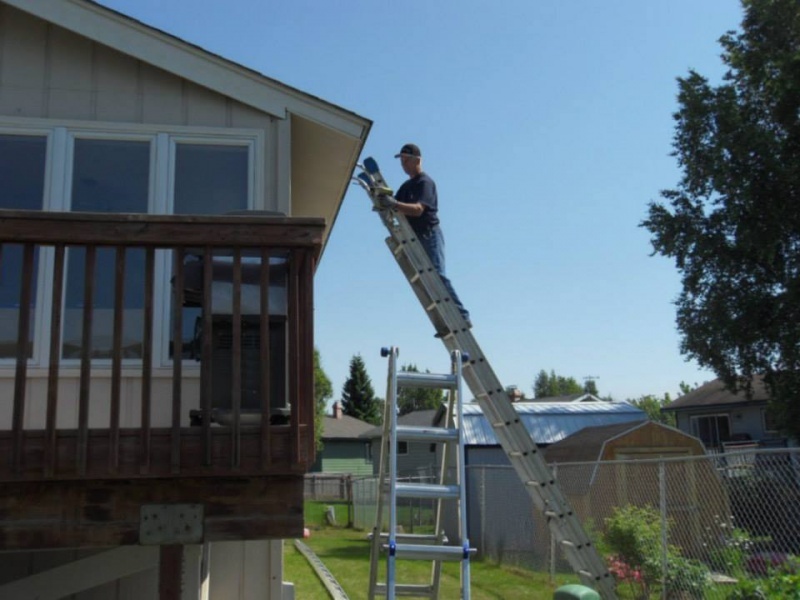 Upper sections can always be done later if the evidence starts to appear. 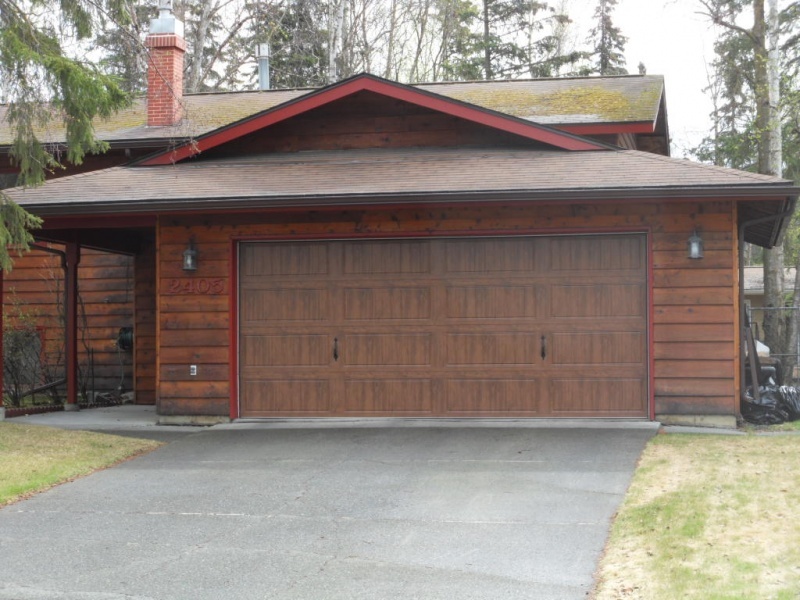 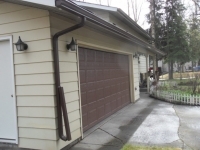 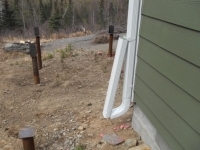 Alaska Premier Gutters will be happy to come out and assess your needs-just give us a call. 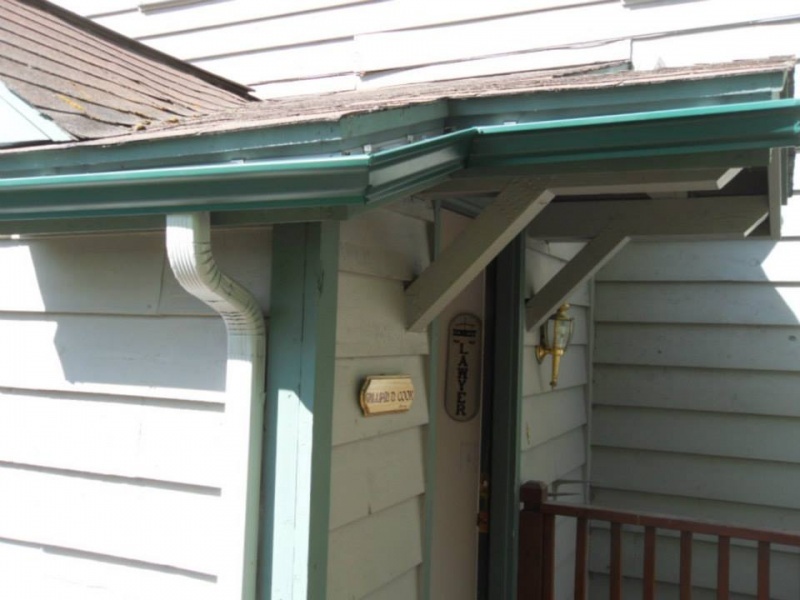 How Many Downspouts Do I Need? Do I Need Drip Edge? Do I Need to Replace My Gutters?